siba 2 weeks, 1 day ago. LineageOS 16 for Redmi Note 7 Pro is now available to download and install, which is based on Android Pie 9.0 version. Here is how to install LineageOS 16 on Redmi Note 7 Pro, with a step-by-step guide. This LineageOS 16 build for Redmi Note 7 Pro is brought to you by developer Dyneteve and the TWRP is brought to you by Doomsday101. THIS IS AN INITIAL BETA BUILD OF LineageOS 16 FOR Redmi Note 7 Pro, WHICH MAY NOT BOOT AT ALL OR MAY HAVE MANY BUGS IF IT BOOTS. Installing a custom ROM may require an unlock bootloader on Redmi Note 7 Pro, which may VOID your warranty and may delete all your data. Before proceeding further you may consider backup all data on the phone. Download the vendor patch zip file (filename: LineageOS Firmware-Violet.zip) and install it through TWRP recovery. Download and Copy the Redmi Note 7 Pro LineageOS 16 ROM and GApps ZIP file to your phone. Boot into the TWRP custom Recovery to install this LineageOS 16 on Redmi Note 7 Pro. Reboot and Enjoy the Android 9.0 Pie LineageOS 16 on Redmi Note 7 Pro. 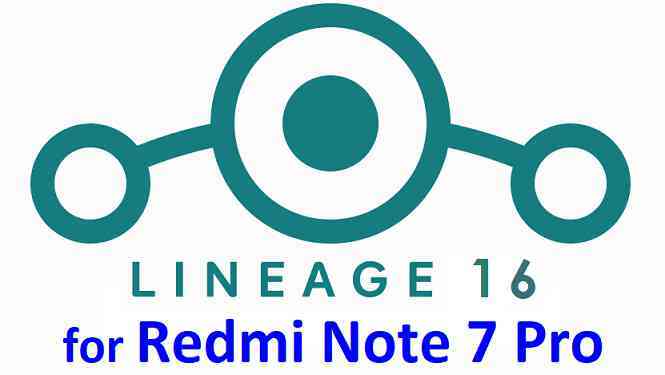 Install the LineageOS 16 for Redmi Note 7 Pro. If you don’t have GApps after upgrading the LineageOS 16 on Redmi Note 7 Pro, then flash the GApps. If you don’t have ROOT after upgrading the LineageOS 16 on Redmi Note 7 Pro, then flash the SuperSU or Magisk or the Lineage SU binary. Once everything is done, reboot and Enjoy the LineageOS 16 on Redmi Note 7 Pro. Complete the initial setup and enjoy Android 9.0 Pie with LineageOS 16 on Redmi Note 7 Pro. Stay tuned or Subscribe to the Redmi Note 7 Pro (violet) LineageOS forum For other Android Pie, Android Oreo ROMs, Nougat ROMs, or other ROMs and all other device specific topics.